1. Maoiniú: An príomhimeacht chun airgead a bhailiú ná Aonach na Nollag. Úsáidtear an t-airgead a bhailíonn an Coiste chun tacú leis an bpríomhoide agus na múinteoirí chun scolaíocht den scoth a chur ar fáil do na páistí. Le bliain anuas, chaith an Coiste airgead ar: Leabhair léitheoireachta Gaeilge agus Béarla, Dialanna obair bhaile do ranganna 1 – 6, Ranganna breise i rith am scoile do Taekwando (ranganna 1-6), rince (ranganna 1-6) agus cluichí Gaelacha (naíonáin shinsearacha – rang 6). Cóiriú áirithe ar an scoil Le blianta beaga anuas, chaith an Coiste airgead ar mhór-rudaí eile cosúil le cláir bána do na seomraí ranga agus uirlisí ceoil a cheannach chun iad a thabhairt ar iasacht do dhaltaí. An gnáth-nós ná go ndéanann an príomhoide (leis na múinteoirí) iarratas ar chaiteachas áirithe agus go dtacaíonn an Coiste leis seo. 2. Imeachtaí sóisialta: Céilí na Samhna, Fáiltiú don Chéad Chomaoineach, An Lá Spóirt, Bronnadh na dTeastas do rang 6. 3. Imeachtaí eile: Ranganna Gaeilge do thuismitheoirí agus Scéim na n-uirlisí ceol. Déanann an Coiste iad seo a eagrú, agus eagraítear iad ar bhunús féín-mhaoinithe. Bíonn fáilte i gcónaí roimh tuismitheoirí nua atá sásta cabhrú leis an obair seo. Chun níos mó a fhoghlaim faoi Choiste 2018-19 agus na h-imeachtaí atá beartaithe féach na leathanaigh: Baill/Members Imeachtai/Events Ionadaithe Ranga / Class Reps Parents’ Association. 1. Fundraising: The primary fund raising activity is the Christmas fair (Aonach na Nollag). 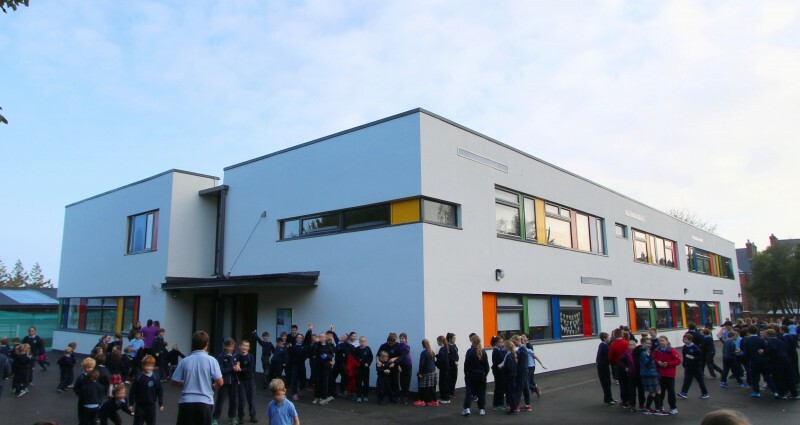 Money raised by the Coiste is used to support the principal and teachers in enhancing the school experience for the children. Use of the Coiste funds over the past year included the following Purchase of English and Irish reading books for the children Purchase of homework journals for the children (rang 1-6) Payment for extra teachers for activities during school hours such as Tai Kwan Do (Rang 1-6), Irish dancing (Rang 1-6), GAA (N.Shins – Rang 6) and essential health and safety maintenance of the school. In prior years the Coiste made capital expenditure such as purchase of whiteboards for the classrooms, purchase of musical instruments, which are lent to students for the year. It is usual that the principal in conjunction with the teaching staff makes a request for the purchase of items, which is then sanctioned by the Coiste. 2. Organizing social events: A Reception Party for first communion children and their families. A Sixth Class graduation ceremony. Halloween music and dance party. Sports Day. All social events are either funded by the Coiste or undertaken on a ‘self funding’ basis. 3. Other: Irish classes for parents. Musical instrument rental scheme. The committee organises these but are operated on a self funding basis. There is always a welcome for more parents to join in this work. For details of the 2018-19 Coiste make-up and planned activites see the pages: Baill/Members Imeachtai/Events Ionadaithe Ranga / Class Reps.